There’s no denying it ­— Steven Spielberg is one of the most well known filmmakers of our time. Ask anyone who doesn’t watch movies to identify a director and they’ll name Steven Spielberg. With an enormous list of enjoyable classics and remarkable dramas, it’s easy to see why so many recognize him as one of the best filmmakers of all time. 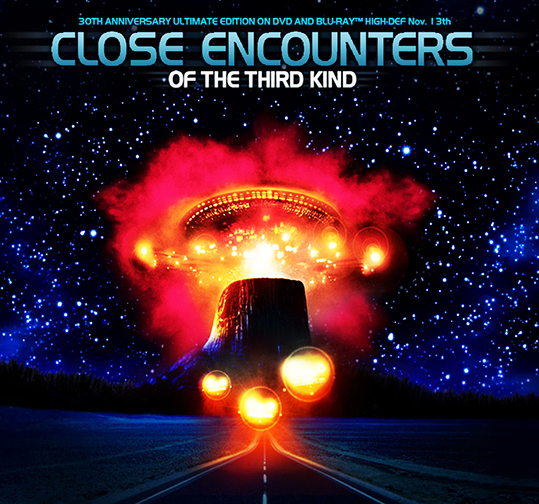 What better movie demonstrates his skill and imagination than the 1977 film “Close Encounters of the Third Kind”? Well, probably “Saving Private Ryan,” but that movie isn’t on Netflix. In the movie, Richard Dreyfuss plays Roy Neary. A caring husband and loving father, Roy experiences a close encounter with a UFO when it flies over his truck and lightly burns the side of his face with its bright lights. After the encounter, Roy becomes obsessed with UFOs and begins sculpting various models of a mysterious mountain. Overwhelmed with his erratic behavior, his wife, Ronnie, takes their children and leaves. Discovering the mountain he’s envisioned is an actual location, Roy sets out to uncover its connection to the UFO he witnessed. This film is overwhelmed with colorful music. But unlike John Williams’ other film scores, such as his work from “Star Wars” and “Indiana Jones,” this film actually intertwines his music into the story. For instance, the extraterrestrials and humans correspond with each other by making music with their computers. Particularly, with a simple five note sequence repeated throughout the film. Altogether, this movie is excellent. Unlike other science fiction films of its time, this movie is one of the first to embrace contact with extraterrestrial life with fascination and hopefulness. While fear of the unknown is present throughout the film, it’s dwarfed by the power of wonder and optimism. The film is an exhilarating experience packed with powerful suspense and vivid images which express how communicating with unknown forces of the universe can be terrifying and remarkably sublime.